Here are two more looks at the Polo Ralph Lauren x New Balance sneaker created for this year’s U.S. Open — you know, the ones that go with the ballpersons’ be-neoned clothes. We didn’t quite notice the colorful soles when we saw them last week. Cute! 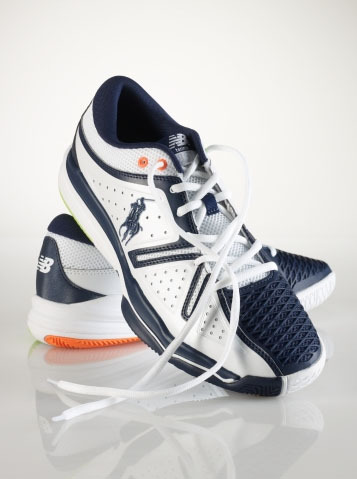 Buy: 2011 US Open Tennis Sneaker, $95.00, ralphlauren.com. Shop: Both the men’s and women’s shoes are available online for $99.99 on New Balance’s site. 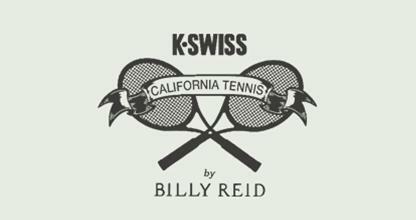 One of K-Swiss‘ newest collaborations is with menswear designer Billy Reid, who looked to a pair of K-Swisses he’s worn for the last 25 years in designing the Venice Surf & Court shoes; they’re made of canvas and have rope laces. $95 at billyreid.com. 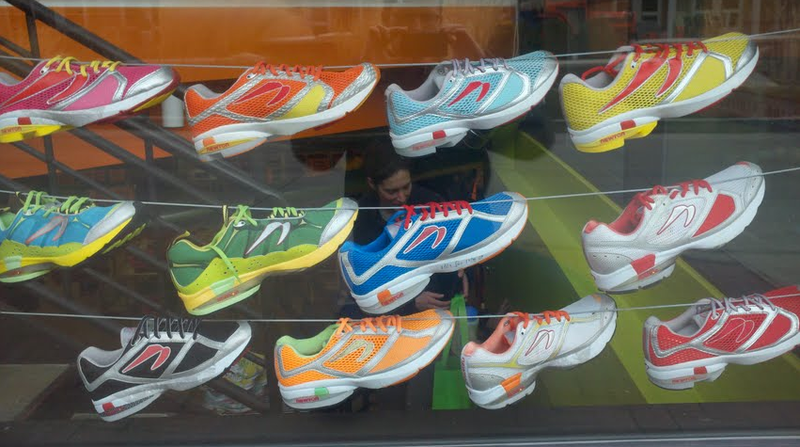 We’re digging this stringing of shoes in the display window at the Newton Running store in Boulder, CO. Peruse their colorful collection here. There was no glass slipper to be worn on the tour this year, not – at least – for the professionals. Melanie Oudin did her best at that last year at the US Open (as did the much-forgotten Jelena Dokic at the Aussie), but no such slipper was happening this year. 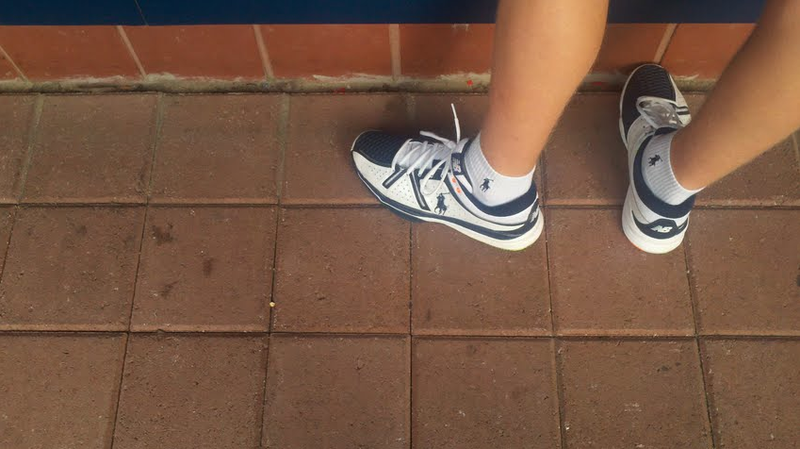 There were, however, plenty of good shoes to be worn by the pros and we give you a good line-up to find over the next two weeks, just in case you have a Christmas Day tennis match with Pete Sampras (or his trophy stealer). 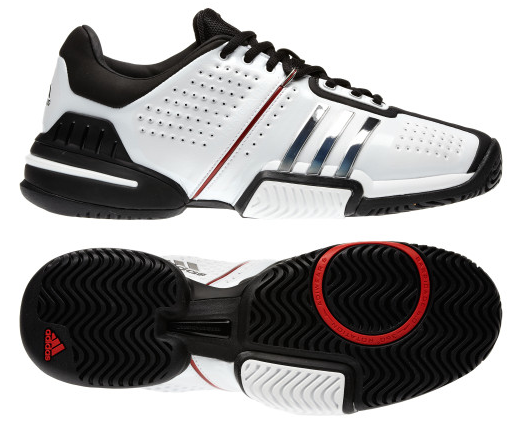 The adidas Barricade (shown above) has been alive and well for awhile now, and the sixth version of the shoe launched this fall. 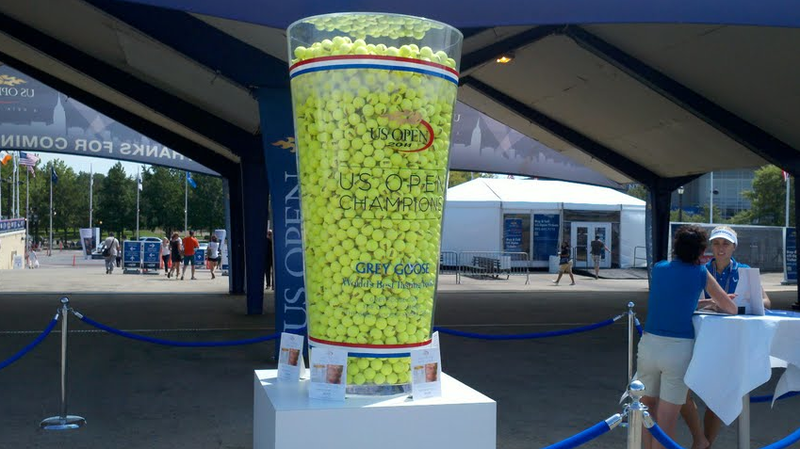 Oudin sported her “Courage” pair at this year’s USO, and a bevy adidas-wearing players were together to tout the shoe before the start of play at the US Open. 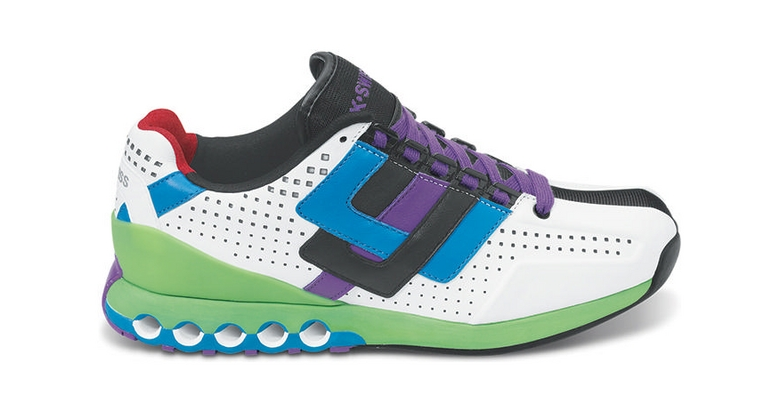 But you don’t need to be at Flushing Meadows to sport these kicks, find them online starting at $115. If you’re not looking for competitive kicks, we would have loved to have recommended you landing on the K-Swiss collaborative shoe, Deuce. But the shoe, which we gave a thumbs-up to in October, sold out in three weeks after a successful collaboration with Undefeated, a quirky SoCal. Therefore, we’re giving the nod to the aptly-named “Classic Hiker” from K-Swiss, which was just named one of Complex‘s 18 Best Boots for Winter. What’s even better than the look of this no-nonsense shoe is its price: $75 online. 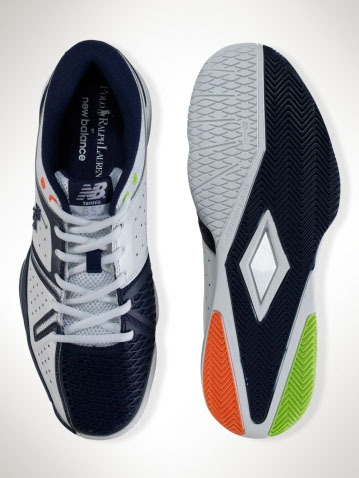 Below: a look at the Ariake, a K-Swiss running shoe that we’re digging. Online for $100. Hop the jump for our other shoe picks this holiday season. K-Swiss is the latest collaborator working with Undefeated on footwear, having their “Deuce” shoe re-imagined in five new colorways for the fall. It’s a pretty simple shoe; note the placement of that gum toebox, covering a larger surface area than what we’re used to. TSF’s pick, btw, is the bright blue one in the back! The shoe’s now for sale at the Tokyo Undefeated store; eveyrone else gets ’em on October 29. Lleyton Hewitt‘s dreams of bagging another Grand Slam might be long gone, but he can still put out a good Davis Cup show. He won the first rubber in this weekend’s World Group play-off against Belgium and also teamed up with Paul Hanley for the doubles win. The Aussies are now up 2-1; up next is Lleyton vs. Olivier Rochus. More info here. 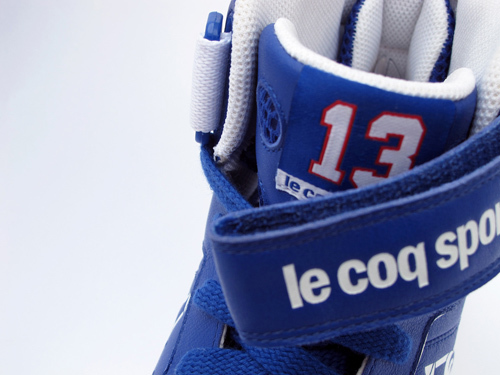 We never tire of hightops, and this one from Le Coq Sportif is no exception. Originally designed by the French company for Chicago Bulls forward-center Joakim Noah back in May, the Joakim Noah Pro Model switches from an all-red shoe to a Frenchified blue/red/white for the replica version, available in limited runs starting this week. The shoes went on sale September 10 at stores in France, Italy, Spain, and Portugal. More: Photos and stockist info here. And as far as we know, none of the big-time ATPers are playing in LCS right now. Potito Starace was in it for a while, but now he’s wearing clothes from Caster Bleige. Justine with her fellow Barricade-wearers (Tsonga, Ivanovic, Murray) pose with the giant shoe cake at the adidas party Friday night in New York. 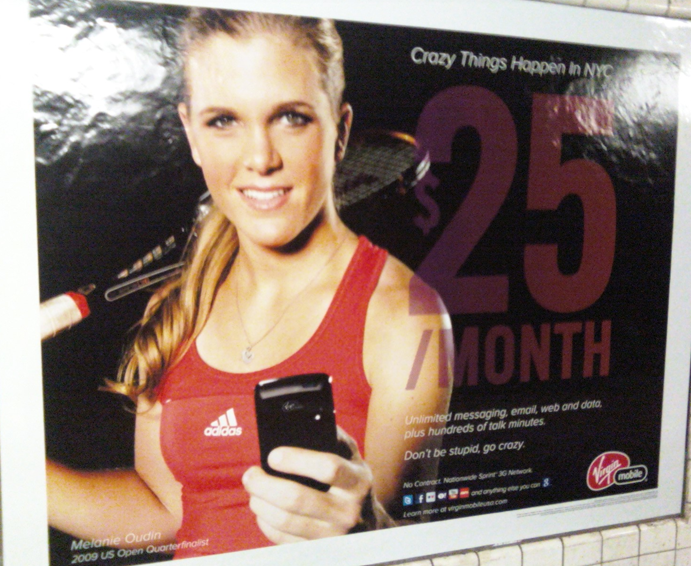 TennisServedFresh: Justine great to see you. 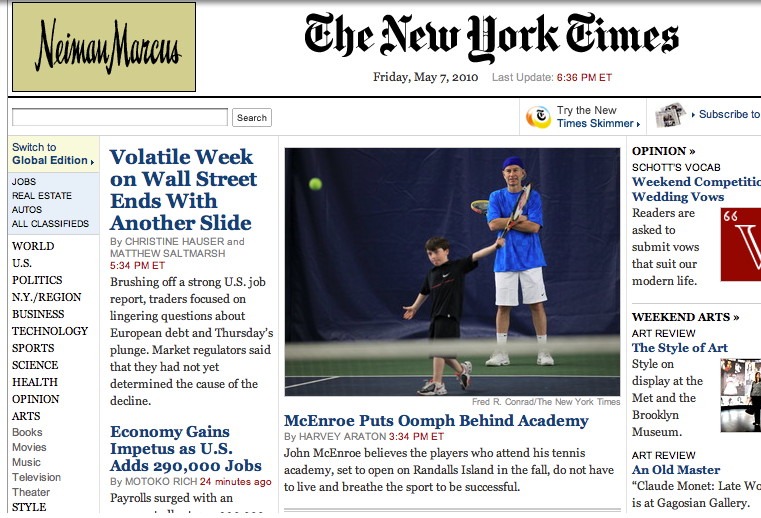 If you could own your own business after your tennis career, what would it be? Justine Henin: I would like to have my own restaurant, I don’t know which kind, but I would have to have a place in Brussels. Maybe a place with nice wine, a place that I can go with my friends and have a nice dinner. TSF: So maybe you could boss people around? JH: Yes! Exactly! (Laughing.) I don’t know what kind of boss I would be. I don’t have that kind of experience so I’m not sure. But it interests me a great deal. TSF: If you were stranded on a desert island, what one possession would you take with you? JH: My phone. Even if it wouldn’t work. Me and my phone… I hate to be alone. TSF: That’s surprising to me, since you seem so quiet. JH: Right, that’s what you think! (Laughing.) I talk all the time. I always have my friends and family around. They are encouraging me to have alone time, but I love to be with them and to be social. I hate to be by myself. I know I look quiet, but that’s not the case. And maybe a book, too, I love to read. TSF: What if you took an iPad? That way you could use Google phone and read your book. JH: Perfect. I would love that. TSF: What music are you listening to right now? JH: I like French music. I listen to a lot of stuff from YouTube. I really like a variety of stuff. I like Coldplay a lot, too. TSF: Do you ever listen to yourself sing? You know, from your variety show days? JH: Well I love to go sing karaoke and in the shower, yes. TSF: What about having karaoke at your imaginary restaurant in Brussels? TSF: What’s your absolute favorite city in the world? JH: For me, it’s Paris. It’s the most beautiful place in the world. You can look in any direction in Paris and everything looks so beautiful. I love that place in terms of history – my mom was a history teacher – and it is a place of such great culture. I don’t think I could ever live there, but I love it. And I love Montreal, too. TSF: You’re always so fit and eating so healthy. What’s one thing in New York that you’ll chow down on while you’re here? JH: I don’t know. I wouldn’t go for a big burger… maybe a nice big breakfast with waffles and pancakes. A big brunch? Or New York cheesecake sounds good. 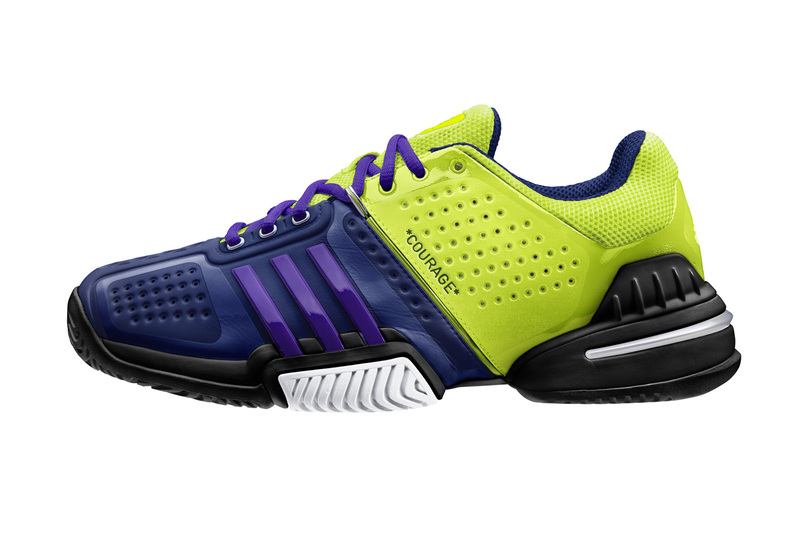 Kit: Melanie will complement the vibrant colors of this shoe with her Fall Barricade tank and skort, both in “Collegiate Purple” and “Radiant Red”. Can’t wait to see it all in action next week! The Serbian has had a rough couple of months, losing super-early on the clay of Madrid and Roland Garros (to Kleybanova), plus on grass at ‘s-Hertogenbosch and Wimbledon. Her next opponent at this hardcourt event will be the winner of Bartoli vs. Harkleroad (Draw: Singles). Buy: Fila Collezione Dress, $65; Long Jacket, $75; Skort, $45; all at shop.fila.com. Fila Draw: Clijsters, the eighth seed, is through to the third round after easy wins over Camerin and Sprem. Up next is Kirilenko before a fourth round match against Henin. The other ladies haven’t fared so well: Szavay lost in the first round to Makarova; Kuzie was upset in the second round by Rodionova. Browse: Ladies’ Singles Draw. Bonus round: Sveta got her stylized monogram sewn onto the sides of her shoes. ❤ Last pic in the gallery above. Action! No Djoking Around. Serbian star Novak Djokovic has struggled in the last couple of years with his on-court stamina (will this be the issue that haunts his career?). He hasn’t struggled, meanwhile, with the ability to garner big-time acting roles in his home country. Djoko is starring in a documentary about the 1923 Serbian World Cup team, and fellow tennis buff Nenad Zimonjic is putting his footwork on display, too. I’m no Justine. There were plenty of moments in Rome last weeks (Rome-ments?!). But one of our faves was Serena making sure that Jelena Jankovic know that she wasn’t pulling a Justine on the Serb. After the match, Serena assured Jankovic that she didn’t intentionally try to distract her opponent by putting her hand up while Janky was serving in the third-set tie-break, an exchange Serena knows plenty about. While the ladies of the Billie Jean King Cup will descend on New York this weekend to prepare for Monday’s exhibition, they might want to stock up on one thing they almost never need on their global tennis tour: snow boots. Much of New York flocked to one shoe outlet or the other on Thursday and Friday as an onslaught of big, sticky and wet snow blanketed Manhattan. Not only was this a genuine winter storm, but the kind of storm that left the sidewalks and streets of the city slush haven. Enter, snow boots. I made my way to Tretorn boutique in SoHo, where I found a pair of reasonably-priced boots in bright yellow. 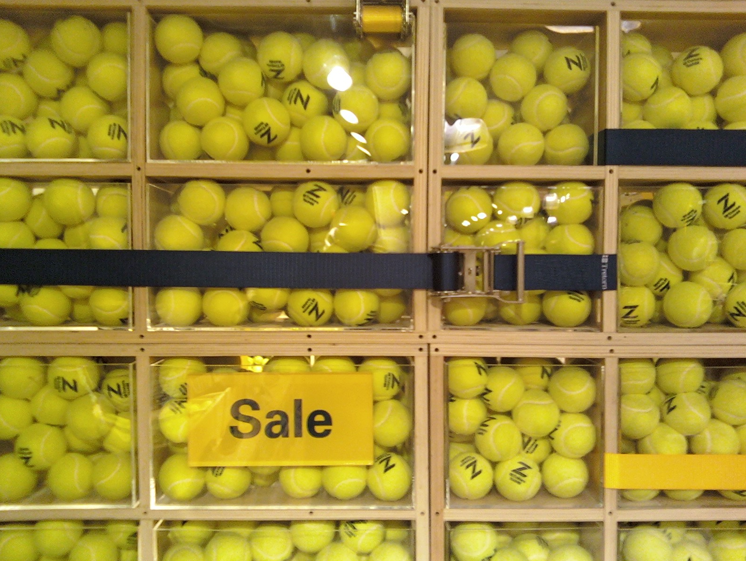 To my pleasant surprise, Tretorn has display cases up throughout the store chalk full of custom tennis balls. The balls are stamped with a large “Z” and in small writing say “Tretorn Trainer” below. Small glass cases line the shelves and display racks with the balls, which added a nice glow on a particularly dark winter day. We’re still not sure where all this Lleyton love is coming from, but we’re going with it: look at his shoes from last night’s fourth round Australian Open match against Roger Federer. Cute, no? Too bad he lost in straight sets against the tourney’s top seed. let’s do the masha mash! Here’s what Maria Sharapova will be wearing on the court for the 2010 Australian Open. The dress: The solid blue slip dress with the printed mesh overlay — a design plucked from Maria’s personal sketchbook a year ago — has some hints of yellow and green to help the outfit pop in the bright blue courts of Melbourne Park. Note the high neckline with the ruffled edging. The Australian dresses are never our faves, and this one is about par. What do you think of it? Tell us!. This piece is part of a larger campaign, Nike’s Maria Sharapova Collection, which’ll have seven dresses (along with tank/skirt combos) dropping throughout the year. She even helped select the army of tennis players (sorry, models) to help do her bidding on court: Kai-Chen Chang, Julia Goerges, Anastasia Pivovarova, and Madison Keys will all wear pieces from this collection. Click on to see her shoes, her bag, and her drop earrings — all after the cut!